We met Pastor Peter Owanda through knowing his brother George in Kisumu and were very impressed by his vision for transforming the community in the Kayole area on the outskirts of eastern Nairobi – a poor area beset by gang violence and intimidation. 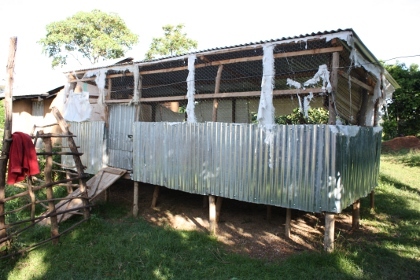 In 2009 he shared his vision with us to establish a poultry project, to provide work for some of the local youth. We gave £1200 initially, and have followed this up with a further £600. The project has taken off well (Kenya is importing chickens to meet the demand) and we intend to continue this support for this and related income generating projects.